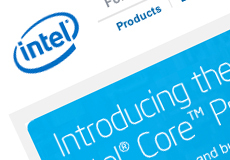 Intel Media is preparing to launch an Internet television service later this year. The group is looking to hire 60 additional people to its staff of more than 300, and could even build to more than 400 within the next six months, said spokesman Jon Carvill (the group had less than 100 staffers a year ago). The hiring spree underscores the chipmaker’s seriousness regarding the new venture. “The service, announced in February, would go further than products currently offered by Apple, Netflix and others,” it adds. In order to make Intel a viable competitor, Intel Media, led by former BBC executive Erik Huggers, is looking to hire engineers experienced in cloud computing, user interface design and security. “Intel also wants specialists in Hadoop, a platform used for mining vast troves of digital data,” the article adds. “That could point toward a heavy emphasis on analyzing customers’ viewing habits.” The STB is expected to include a camera for automatically steering content and advertising to specific users.